Cyberlink has developed PowerVCR II for you to have more choice upon video processing programs. It comes with an outstanding graphic interface which includes separated items for giving you easiness of use. PowerVCR II has been designed for untreated video capture. 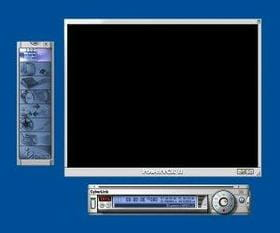 For instance, you can record broadcast TV program from your tuner TV or just to play files stored on your hard drives. The software’s interface is made of the main windows where images are displayed, a floating tool bar “cyberEPG” and a navigation bar below the main window. Videos you have captured are immediately encoded in MPEG-2 with a 720x480 resolution. This avoids you to search for the right output format for your files since the software choose a standard one for you. PowerVCR II also features a built-in browser intended to immediately access to the Internet if you want to share your video or to check for available ones on your TunerTV channels’ programs. It allows you to view videos in full screen or in window mode. It includes editing tool for deleting, for instance, advertisements. Latest update on June 21, 2016 at 09:51 AM.